Healing for Animals and Pets , Healing for domestic Animals and Pets takes anywhere between 30 -60 minutes depending on your pets or animals needs, and it can be done remotely from distance or hands on, using a variety of Natural Healing Skills, and Energy Treatments such as Reiki and Intuitive Healing . 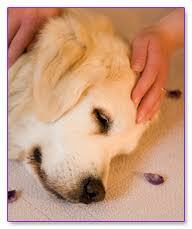 Treatments are always carried out in the Animals or Pets home . If some reason the Your Animal or pet cant be treated , their is only a nominal charge to cover travel expenses , and if more than Two Treatments are needed , I will discuss the treatments and payments options with the owner first , before caring out any further treatments. Animal and Pet Owners will always be kept up to date on any progress .